The government-confiscated properties include two functioning monasteries, including adjacent lands to the 4th century Mor Gabriel Monastery, belonging to Turkey’s oldest indigenous culture. Over the past five years, legal ownership of at least 100 ancient Syriac Christian properties in Turkey’s southeast has been seized and transferred to the Turkish state treasury, where the title deeds still remain. The government-confiscated properties include two functioning monasteries, including adjacent lands to the 4th century Mor Gabriel Monastery belonging to Turkey’s oldest indigenous culture. Monks at the monastery still speak the Aramaic dialect closest to that spoken by Jesus. According to the Turkish government, this systematic expropriation of allegedly “lapsed” title deeds for these dozens of historic Syriac churches, monasteries and village cemeteries began in recent years because of reformed land registry laws and the reorganisation of municipalities within the Mardin province. 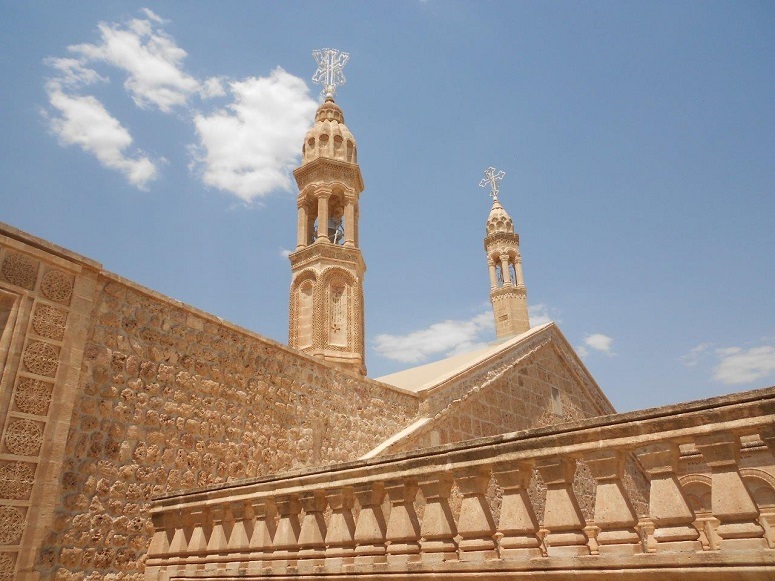 Reportedly, these new statutes give the state a legal pretext to either force the Syriac community to lease back their own church properties from the government, or, even worse, stand by while the state sells them outright to someone else. As recently as May, the latest appeal from the Mor Gabriel Monastery Foundation against the cancelled ownership of some of its adjacent lands back in 2008 was denied by a local court. But for church leaders of the estimated 2,500 Syriac Christians still living in southeast Turkey, the extent of these newly disclosed expropriations only came to light less than a month ago. In a front-page story on 23 June, the weekly Agos newspaper reported that the state treasury had recently transferred the deeds of many Syriac properties to the Religious Affairs Directorate, which regulates all Muslim religious facilities and practices in Turkey. The official state institution has no jurisdiction over non-Muslim communities. Shocked leaders of the three Syriac church foundations affected by the newly disclosed seizures conferred with their lawyers and Archbishop Samuel Aktas, Metropolitan of the Syriacs’ Turabdin homeland lying between the Tigris and Euphrates rivers in Mardin province. Kuryakos Ergun, chairman of the Mor Gabriel Monastery Foundation, spoke with World Watch Monitor at Mor Gabriel Monastery on 4 July. They immediately filed a court appeal to cancel the deed transfers, working to identify all the properties seized and opening lawsuits to reclaim 20 title deeds. “We will do the same for around 30 more,” Mor Gabriel Foundation Chairman Kuryakos Ergun told Agos. A media furore over the Agos revelations quickly erupted among the Syriac diaspora in Europe. Queries were filed from the European Parliament about the purpose and extent of the seizures, and questioning this clear-cut violation of the 1923 Lausanne Treaty agreements signed by Turkey to protect its religious minorities. Directorate President Dr Mehmet Gormez dismissed the report as “dark propaganda” being circulated across Europe to defame Turkey and the Religious Affairs Directorate. He later declared that he had never seen the alleged decision, which he labelled “a rejection of Islamic values”. In less than two weeks, the Mardin Governorate had stepped back from its decision to give the Christian properties over to control of the Muslim directorate. Calling together representatives of the three Syriac foundations whose properties had been confiscated, the governorate cancelled the transfer on 3 July; but that left the disputed properties back again under treasury control. The Mardin Governorate’s original court order transferring the Syriac deeds to the Religious Affairs Directorate was dated 12 August 2014. The Syriac church had not been informed of this judicial action taken nearly three years ago. The 3 July cancellation order specified that a legal amendment was required “for the problem’s exact solution”. The Syriac community agreed, with the Syriac foundation chairmen sending a formal petition that same day, requesting Ankara to take a second step: transfer the ownership of all the church property deeds currently held by the treasury over to their respective Syriac foundations. To date, the Syriac community has received no response to their petition from Turkey’s central government. Unless Ankara agrees to return the seized properties to official church ownership and amends the law, the Syriac community is left with only one alternative: file 100 or more separate court cases to gain back their centuries-old properties, a very expensive and lengthy option that would take years to complete. Over the past few decades, most of the 70,000 Syriacs living in south-eastern Turkey fled to escape the deadly fighting between government and Kurdish rebel forces that erupted in 1984. A number of the Syriac village churches and graveyards existing at that time had been registered in the names of private individuals, so their title deeds were never transferred over to local church foundation ownership. After publicly inviting ethnic Syriacs in 2012 to move back to their lands in south-eastern Turkey, then Prime Minister Recep Tayyip Erdoğan declared in September 2013 that the 30 Syriac properties that had been confiscated from the Mor Gabriel Monastery in 2008 would be given back to church foundation ownership. But so far only 12 have been returned, Ergun told World Watch Monitor, with 18 land parcels still not reclaimed. “In the 21st century, this not an appropriate decision for Turkey,” Turkish Muslim journalist M. Serif Oter wrote in his Gap News Agency column on 9 July, headlined: “Can’t we change this law’s statute for our Syriac brothers?” He commented on the lucrative tourism potential in the Mardin province to visit so many Syriac and other historic religious sites, and quoted extensively from Quranic passages requiring just treatment of non-Muslims. 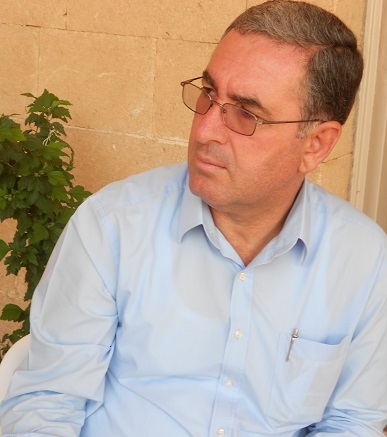 “If the needed corrections on this issue are not promptly made,” Oter vowed that “as a civilian representative of Mardin society” he was ready to start a campaign to return the Syriac properties to their rightful owners. Two Christian members of the Turkish Parliament demanded an explanation from the government over the issue – Syriac MP Erol Dora from Mardin and Armenian MP Garo Paylan from Istanbul. “This is absolutely an illegal practice,” Armenian Christian MP Selina Dogan told DHA news agency after meeting with Syriac foundation officials at Mor Gabriel Monastery. “There are two dimensions to this issue – the legal dimension, and the moral dimension. “This is not just one religious community’s cultural heritage; at the same time, it is also Turkey’s treasure. So it’s not to be turned over to the state treasury; it is to be protected by the Culture Ministry like the apple of our eye,” she concluded. An ethnic community whose ancestral roots came from the Assyrian civilisation, Syriac Christians numbered several hundred thousand under the Ottoman Empire before the mass murders and deportations in which some 1.5 million Syriac and Armenian Christians died during World War I.